I heard this story on NPR this morning, then found a picture to share with you. 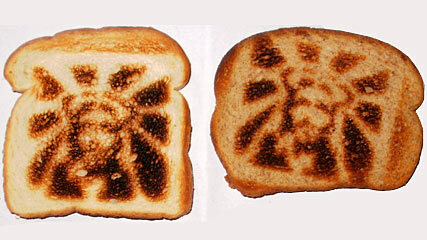 A 45 year old has designed a toaster that marks bread with his image of Jesus. Xenophilius says the initial order with the factory in China that is making the toasters is 3000. I think my current toaster will last for a while yet.